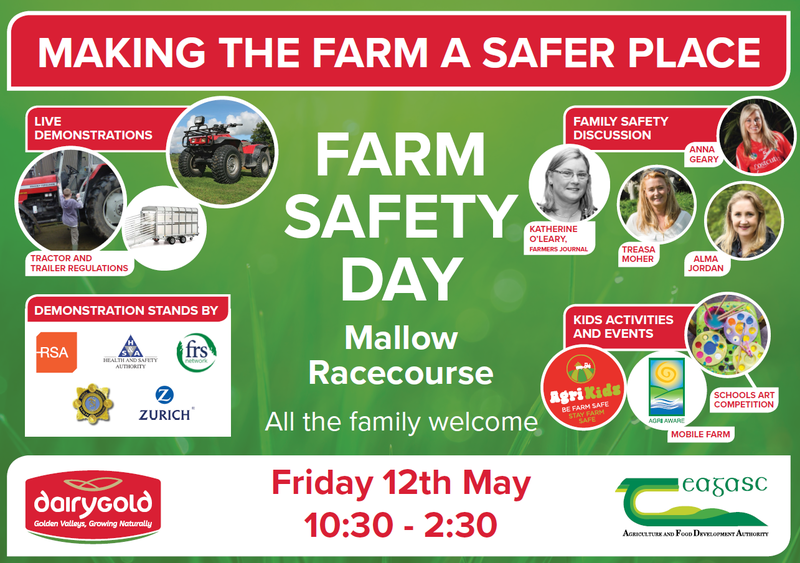 In light of the continuing high level of farm accidents and fatalities in the farming sector, Dairygold and Teagasc are organising an event on Friday 12th May at Mallow racecourse focusing on ‘Making your Farm a Safer Place’. This event will provide the opportunity for farmers to come and hear about farming safely and view many of the new innovative and safety focused equipment available at live demonstrations by the Teagasc, the Farm Relief Services, the Gardaí, Zurich Insurance, the Health & Safety Authority and the Road Safety Authority. The event will also have a family focus with a specially organised Speaker Panel to discuss family health and safety. There will be presentations by local parent and Milk Quality Award winner, Treasa Moher; founder of Agrikids Alma Jordan; Farmers Journal and Country Living journalist, Katherine O’Leary and our keynote speaker, Anna Geary. Anna is well known for her successful career on the camogie pitch and also as a former Cork Rose in 2014. Anna was also the winning coach on RTÉ’s Ireland’s Fittest Family and is the face of the weekly health and fitness slot for RTÉ One’s Today show. Anna is an ambassador for the Special Olympics, Cycle Against Suicide and Pieta House amongst others. The event will run from 10:30 am to 2:30 pm with the speaker panel discussion on family safety running from 11:30 until 1:30. 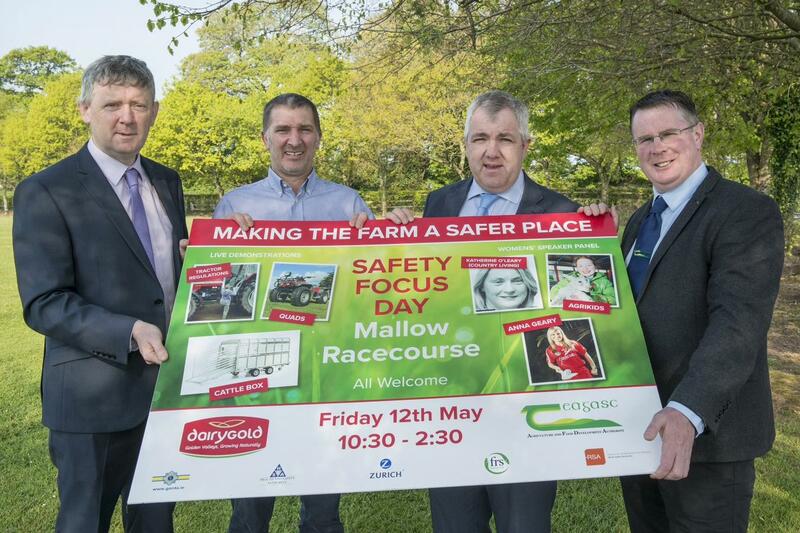 Pictured at the launch of the Dairygold ‘Making The Farm A Safer Place’ safety focus day in Mallow Racecourse on Friday 12th May are Billy Cronin, Dairygold, John O’Gorman, Vice Chairman, Dairygold, James Lynch, Chairman, Dairygold & John Maher, Teagasc Dairy Specialist. Photo O’Gorman Photography.